Hubodometers - Sauber Mfg. Co.
For utility fleet purposes, many states allow “mileage” plates which can lower licensing costs. Recording trailer miles makes sense from a maintenance and asset utilization standpoint. 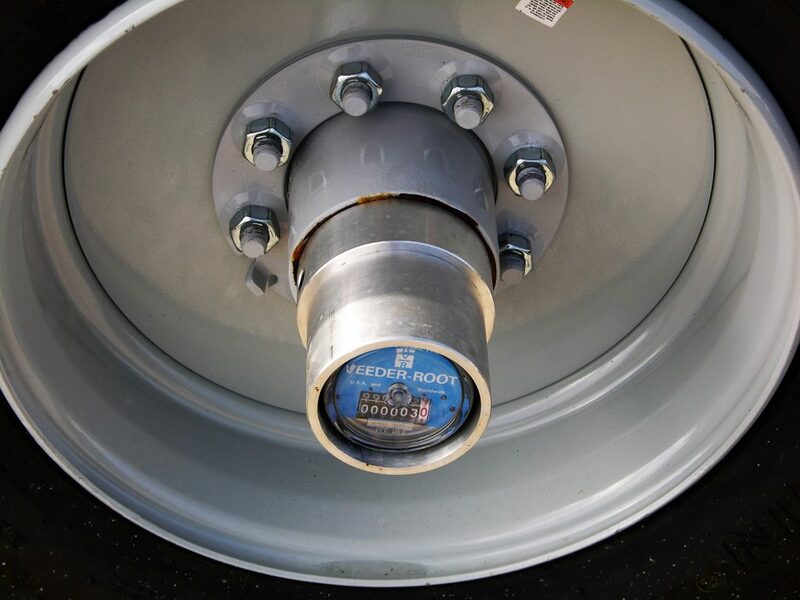 Designed specifically for the utility fleet trailer, our hubodometer is hermetically sealed and won’t crack and lose oil like conventional plastic caps. It records mileage in both directions. The Almag housing provides rust free service and is easy to install and remove. 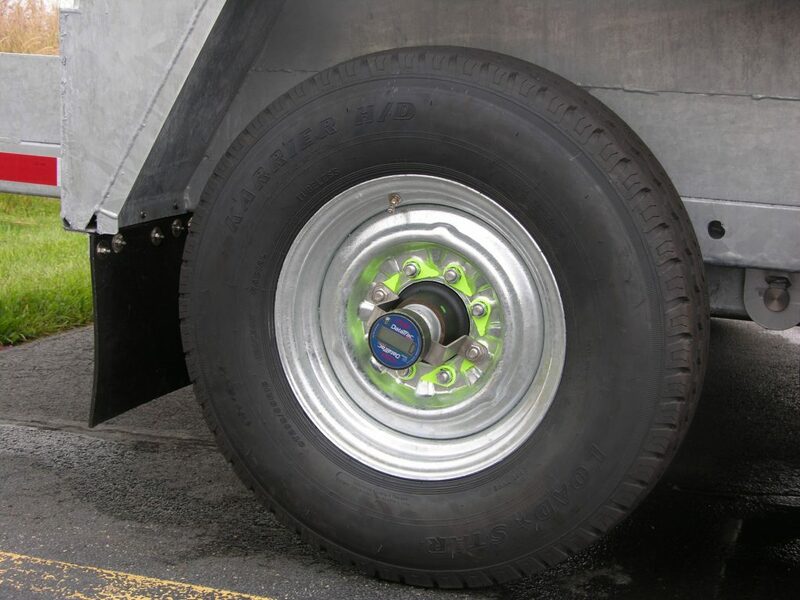 The trailer wheel can be removed without dismantling hubodometer package in oil bath applications ensuring preventative maintenance can be performed when required. The electronic hubodometer unit we selected is completely sealed, has no moving parts, is programmable to the tire’s exact revolutions per mile, has a 4-year 500,000 mile warranty and the odometer can be viewed without moving the vehicle or exciting the display and is installed with a stainless steel strap that avoids the need for machined installation nuts. *This product is not intended for over-the-road tractor trailers or private use. Like our other products, the hubodometers we provide are for utility fleet vehicles exclusively. 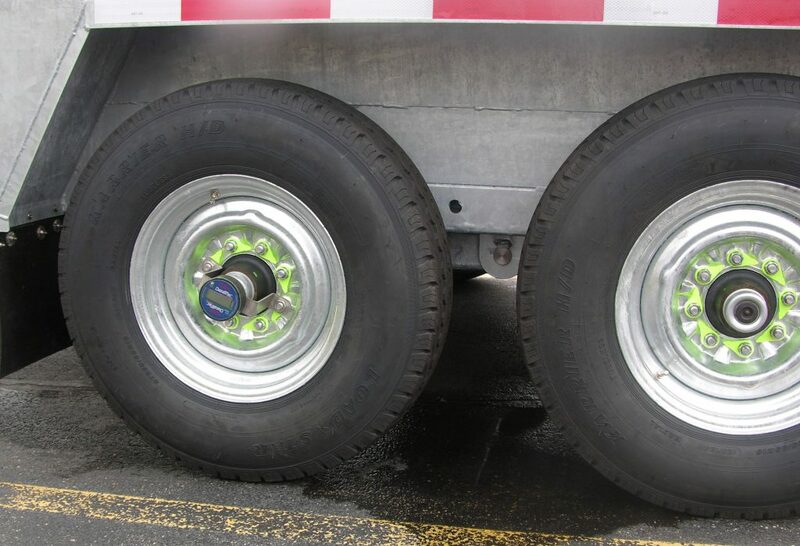 Won’t crack and lose oil like conventional plastic caps – lengthens axle bearing life. Almag housing provides rust free service and is easy to install and remove. Trailer wheel can be removed without dismantling hubodometer package in oil bath applications. Ensures preventative maintenance can be performed when required. Hubodometer is hermetically sealed and records mileage in both directions. 450,000 Mile, 4-Yr hubodometer warranty. Many states allow “mileage” plates which can lower licensing costs. Provide Revolutions Per Mile For Hubo Programming by Sauber Mfg. Co. 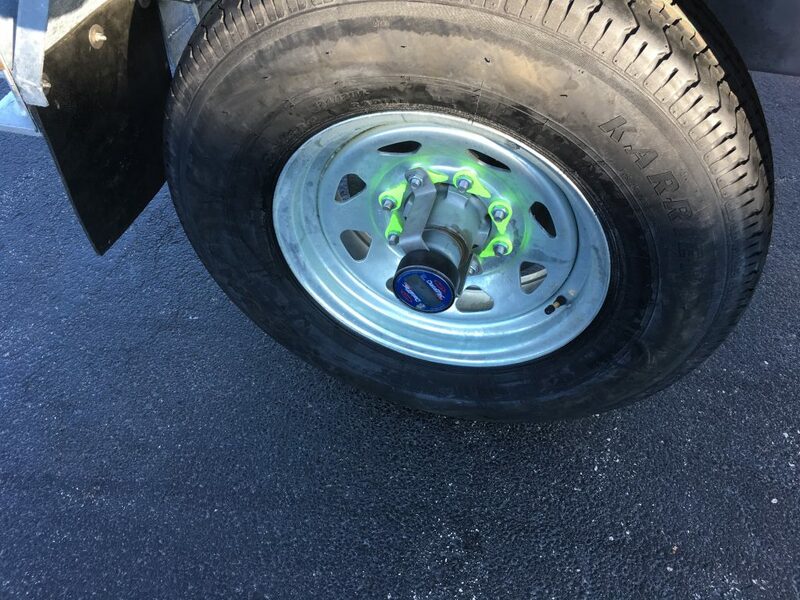 The Static Loaded Radius (SLR) can be obtained from the tire manufacturer’s data or it can be measured from the ground to the center of the axle in a normally loaded condition.